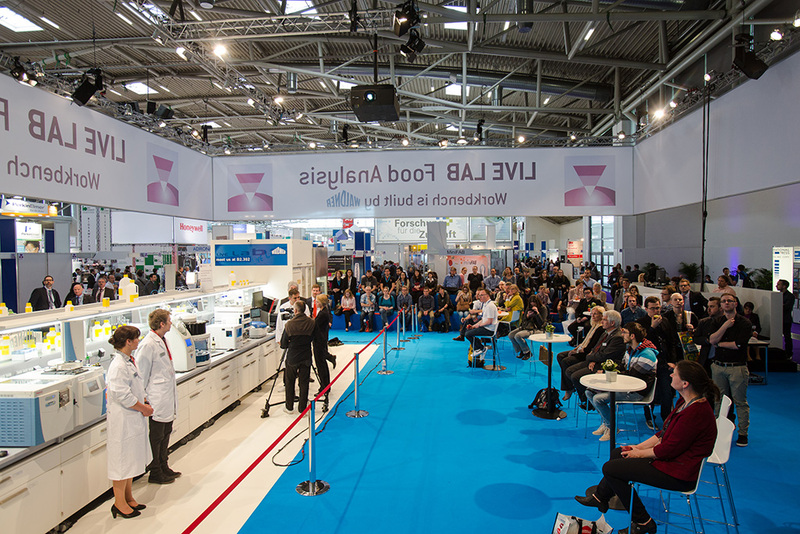 During the past four days (May 10 to 13), a total of 1,244 exhibitors from 40 countries presented their product innovations including a number of world premieres to some 35,000 visitors at analytica. There was a considerable increase it the share of exhibitors and visitors from abroad. As a result, analytica' leading position as the world's most important trade fair for laboratory technology, analysis and biotechnology remains undisputed. The euphoric atmosphere at the fair was the result of warm weather and, above all, full halls and crowded stands—a clear sign that the industry is doing well. Mathis Kuchejda, Chairman of the SPECTARIS Trade Association for Analytical, Bio- and Laboratory Technology, feels that the industry's main growth opportunities lie in increasingly complex regulatory requirements as well as the networking and automation of laboratory processes and sample preparation, not least of all due to increasing globalization in sectors such as food safety. Growth is also being generated by recent developments in the health-care sector such as in-vitro diagnostics. For 2016, the trade association expects the German industry's domestic sales to improve, increasing by 6.5 percent to approximately 3.75 billion euros. 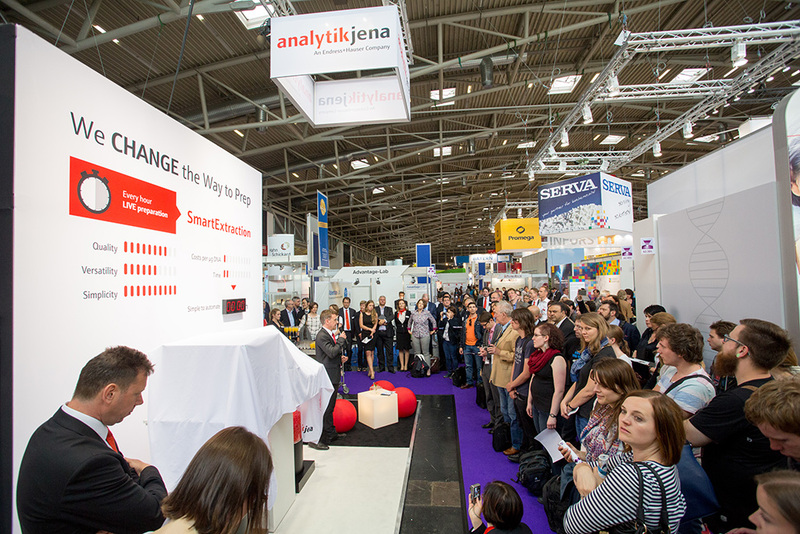 Approximately 35,000 visitors, 40 percent of whom came from abroad, attended analytica 2016. The countries with the largest contingents of visitors were Austria, Switzerland, Italy, Great Britain and the United States (in that order). There were significant increases in the number of visitors from countries including Great Britain, Iran, Thailand and Turkey. According to a survey by the market research institute Gelszus Messe-Marktforschung, visitors were extremely satisfied with the outcome of the fair: 99 percent gave the exhibition a rating of good to excellent. Nearly 60 percent also feel that analytica is increasing in significance. A total of 1,244 companies from 40 countries—a 6.5 percent increase over the record-breaking results from 2014 (1,168)—participated in analytica. Above all, that growth was due to an increase in international exhibitors, which rose four percent to a total share of 44 percent. Besides Germany, the countries with the largest contingents of exhibitors were China, the United States and Great Britain. The scientific highlight of the fair was the three-day analytica conference. A total of 1,839 visitors—an increase of twelve percent over 2014 (1,638)— filled the rooms of the ICM—Internationales Congress Center München to capacity. 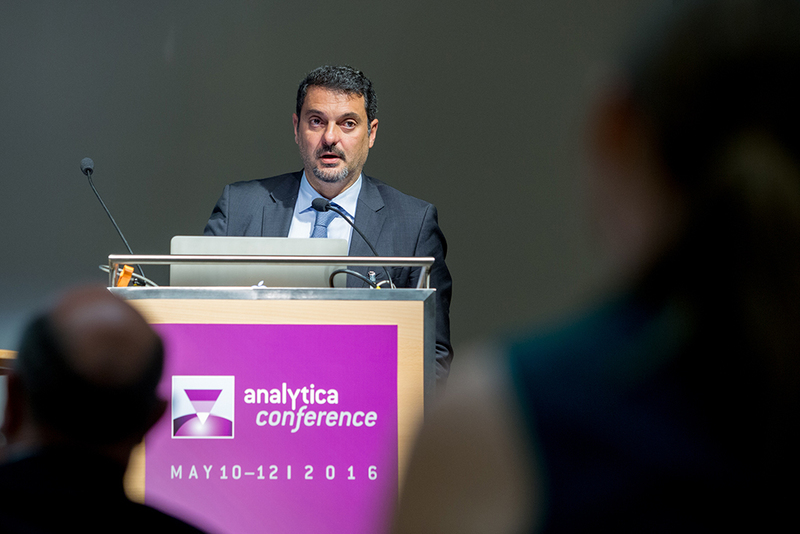 Additional statements at analytica 2016 are available in the “Press” section of the analytica website. 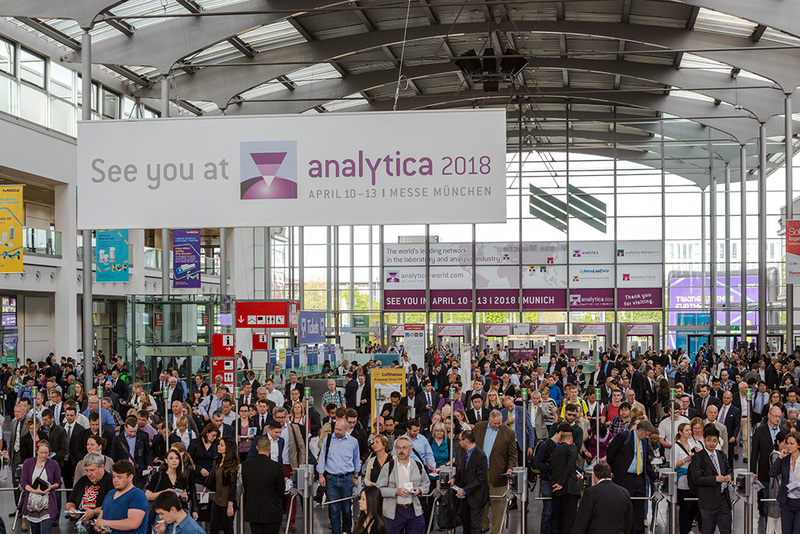 The next analytica takes place in Munich from April 10 to 13, 2018. Photo materials from analytica 2016 are available in the media database. The next industry gathering is analytica China in Shanghai from October 10 to 12, 2016. After that, analytica Anacon India and India Lab Expo take place in Hyderabad from October 20 to 22, 2016. Final visitor and exhibitor statistics that have been verified by the FKM (Society for Voluntary Control of Fair and Exhibition Statistics) will be available online at the AUMA exhibition database in a few months.